What’s Behind The Monastery; with over 100 tigers? preciousjules1985	African Wildlife, Animal Abusers, Animal bones, Animal Breeders, Animal Cruelty, Animal Emotions Behaviour & Instincts, Animal Found Dead, Animal Health & Welfare, Animal Hoarder, Animal Neglect, Animal Shot, Animal Skins, Animal Torture, Animal Trade, animals, Animals Butchered for Body Parts, Animals in entertainment, Big Cats, Captive Breeding, Captive Wild Animals, Cold Calculated Heartless Bastards, Conservation, Crimes Against Nature, Endangered, Endangered Species, Evil Torturing Bastards, Exotic Animals, Heartless Bastards, Human Greed = Animal Cruelty, Humans That Offend & Disgust Me, Illegal Trade, kIlled For Supposed Healing Powers, No Enforcement Of Animal Welfare, On going Investigations, Poaching, Profit Through Animal Abuse, Protected species, Pure Evil Scum, R.I..P, Should Be Charged For Animal Abuse, Should Get Prison Term For Offence, sickening, Tigers, Totally Neglected Left To Die	Big cat, Wildlife	Comments Off on What’s Behind The Monastery; with over 100 tigers? Allegations: It is accused of illegal possession of wild animals and illegal trade in wildlife. A probe will soon be launched on whether it legitimately acquired its 2,000 rai block of land. Background: In 2001, it had seven tigers. : In 2015, officials found 147 tigers in its compound and embedded these big cats with microchips so they could be tracked. : In 2016, officials started moving tigers out of the temple. Shocking Discoveries: During the operation to search and catch tigers for relocation, officials found the bodies of 40 tiger cubs in jars, plus frozen tiger carcasses, tiger skins, tiger amulets, engraved tiger fangs and stickers about antler herbs and food supplements made of tiger bodies. The body of a binturong, antlers and parts of various other animals were also found in the compound. Two incidents show how people harm the wildlife animals like gorilla and tigers spread onto social media. First is Harambe, a 17-year-old male western lowland gorilla, was killed Saturday at the Cincinnati Zoo to save the life of a four-year-old child who fell into his enclosure. Second is the relocation of the first batch of all 137 tigers that the National Parks, Wildlife, and Plant Conservation Department has planned to take away from Wat Pa Luangta Maha Bua Yannasam–panno, more widely known as the Tiger Temple. And then, the officials found the dead cubs were frozen together with a number of other dead animals including a binturong – a protected species also known as a bearcat – as well as chicken meat for feeding live tigers. The death of Harambe raised up controversial the decision of the zoo and blame the child’s parents flowing over online. A Dutch primatologist and ethologist Franciscus Bernardus Maria wrote on his Facebook Page “Frans” de Waal” (https://www.facebook.com/notes/frans-de-waal-public-page/rip-harambe/10154127508562200/): “I find it very hard to decide what the Cincinnati Zoo should have done in the case of the human toddler and Harambe, the silverback male gorilla. He showed a combination of protection and confusion. He stood over the child, held him up, moved/dragged him through the water (at least once very roughly), stood over him again. Much of his reaction may have been triggered by public noise and yelling. “It is a horrible dilemma. I am sure the zoo staff is devastated (even though activists often depict zoos as prisons, they are full of people who deeply care about and greatly respect animals), and I myself am devastated that such a beautiful primate was killed. It is a great loss for the species, but we also mourn the individual life of a primate who had done nothing wrong. At least, we can all agree that people should watch their children! A special petition is going around calling for the boy’s parents to “be held accountable for the lack of supervision and negligence that caused Harambe to lose his life”. Meanwhile, Cincinnati Zoo said that the Zoo’s Dangerous Animal Response Team responded to the life-threatening situation and made the difficult decision to dispatch the gorilla (Harambe). It’s also said through @CincinnatiZoo: Cincinnati Zoo Devastated by Death of Beloved Gorilla. World Wildlife Fund has found 40 dead tiger cubs in a freezer in Kanchanaburi’s Tiger Temple. WWF has commended the Thai authorities for taking definitive action to permanently remove the tigers from the temple to facilities in Ratchaburi. WWF was dismayed last month when the Tiger Temple was granted an official zoo permit by the wildlife department. This was despite longstanding allegations and ample evidence that the Tiger Temple was trafficking tigers into the illegal wildlife trade. Sorry not been around, pain controls my life as most of you know…feeling a bit better so thought I would get some posts done while I can. Some of them may be a little out of date, but I feel strongly about their causes so will post!! The story below will affect many Rhino, I don’t think this is the way to save our Rhino, if you agree with me, please sign the petition below! A South African court has ruled to legalize the trade of rhino horns, with just “three terse sentences” National Geographic reports. The international trade in rhino horn has been banned for decades, and was shut down in South Africa – home to the largest population of rhinos on earth, according to data from 2009. 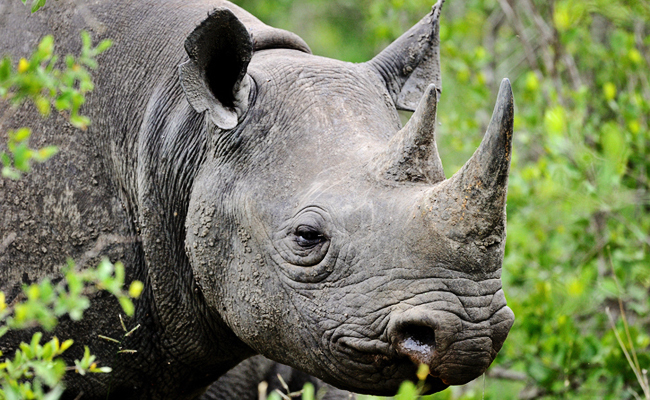 The future of the rhino species is continuously jeopardized because of the demand for their horns. Thousands of rhinos have been ruthlessly killed by poachers to meet consumer demands for rhino horns. In April, conservationists celebrated a victory when South Africa decided against submitting a proposal to legalize the international trade in rhino horns at the 17th Conference of the Parties (CoP17) to the Convention on International Trade in Endangered Species (CITES), which will be held in Johannesburg this upcoming September. Make no mistake; legalizing trade in rhino horn would have been nothing short of disaster for species that are just barely hanging on now as it is. The South African decision does not fix the plight of rhinos―but it gives space and time to tackle poaching, close down illegal markets and eliminate the loopholes that already help enable the $20 billion market in illegal international wildlife trade. South Africa bought more time for rhinos today―and should follow up with more key actions to keep these animals on the planet,” Alex Kennaugh, a wildlife advocate for the Natural Resources Defense Council, said at the time. Now, however, the win is being undermined by a recent decision handed down by South Africa’s Court of Appeal, which effectively legalizes the trade within South Africa. The ruling is the result of a challenge to the ban brought by rhino ranchers, and those on their side continue to argue that funds could be used to support conservation efforts, but opponents have serious concerns that it will do more harm than good, especially with poaching levels reaching record highs. They also point to the fact that there’s virtually no market for horns within South Africa, which has raised worries that they will most likely be smuggled out and sold elsewhere illegally, and that legalizing the trade will kill the message that rhino horn, like elephant ivory, is something no one should be buying at all. According to Reuters, in response the government may now change legislation, make obtaining permits to buy, sell or possess rhino horns so difficult to get it effectively stifles the trade, or it may possibly appeal to a higher court, but it’s not yet clear what course of action it will take. Hopefully, it will do something to undo this. Considering the global efforts being undertaken to combat the illegal trade in wildlife and to promote the conservation of imperiled species in their natural habitats, we need to continue to push for more work on those fronts and rethink how inherently valuable these species are, instead of trying to figure out ways to ‘save’ them through continued exploitation. Urge The Florida Legislature to Ban The Sale of Ivory and Rhino Horns To Protect Endangered Wildlife! 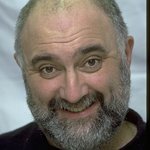 Comedian Alexei Sayle has joined Animal Defenders International (ADI) in calling for action on wild animal circuses, urging Government “to get a move on” and “bring their own bill in” as a backbench bill to bring in the ban promised, but sat upon by Government, faces its tenth attempt to pass to committee stage. Incredibly, it is Conservative back benchers who have blocked this bill to pass their Government’s own legislation nine times. Opposition to the use of wild animals in circuses is overwhelming, with support for the ban uniting Parliament and the public alike. Legislation has now been pledged by Government for three years, with the promised ban due to come into force at the end of this year. ADI is urging David Cameron to keep his word and progress the law. This seems extraordinary double-speak since the bill was promised by the Government over two years ago and is only in the Private Members’ process because the Government has not given it time. The issue has become an embarrassing Parliamentary saga. The proposed ban on wild animals in circuses was announced by the Government in 2012, although a ban was promised to Parliament as long ago as 2006. In 2010 a Government Public Consultation saw over 90% of respondents calling for a ban and in 2011, backbench bench MPs voted unanimously for the Government to introduce a ban. The Private Member’s Bill introduced by Jim Fitzpatrick MP is identical to the Government’s own Bill that was unveiled to media fanfare but has simply gathered dust. Unfortunately, an objection from just one MP prevents it from progressing, and tomorrow eyes will be on Tory MP for Christchurch, Christopher Chope, who has blocked the bill on six occasions. Wales is committed to a ban and is seeking to be included in England’s legislation, but whilst efforts to ban wild animals in circuses are stalling, 30 nations around the world have acted. 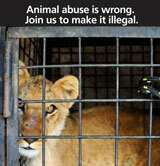 ADI is currently assisting the Peruvian Government enforce a ban and have 21 lions in their care removed from circuses. ADI’s campaign to stop circus suffering in Britain is supported by politicians of all parties, leading animal protection groups and celebrities including Ricky Gervais, Dame Judi Dench, Brian Blessed, Twiggy, Eddie Izzard and Sir Roger Moore. ADI has vowed not to let the matter drop and the backbench bill will have another second reading on Friday 27 February. “Seriously, if you were caught using a bullhook, stick or broom etc. on a dog, cat or horse etc. 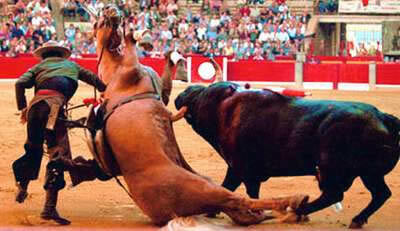 whipping or poking it until it bleeds; I’m sure, you would be charged with animal abuse; & quite rightly so! These bullhooks are used to control elephants; via pain, just as various other weapons are used for the rest of the circus animals! Elephants may have thick skin, but did you know they can feel a fly land on them?? So how do you think a bullhook feels to an elephant when it’s used aggressively by an impatient trainer or handlers mucking out stalls etc. I bet it hurts like hell! Bullhooks are used to keep circus elephants in check, by tugging on sensitive parts of the elephant like their ear’s & gouging at their legs to make them perform unnatural tricks for the paying audience! Elephants were not made to entertain humans, which is why they are forced by the bullhook & electric prods (verified on undercover surveillance) to entertain! How else would one get an elephant to lift off front or rear feet, walk around a big ball with one foot on it, the other turning it, or how about getting them to do a handstand; using their trunks as a balancing aid? I’m pretty sure they don’t conform to words alone, or snacks! These elephants are performing stunts in such a way as they would never, in the wild; their bodies are simply not made to do balancing acts, it’s so unnatural for them to even consider doing tricks…but a bullhook used by a human, aimed at the right place, makes it much easier to get the job done, by causing pain. They’re not dogs who can learn a trick within half an hour using treats alone. 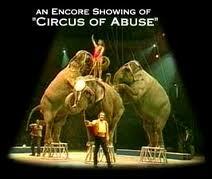 Plus the tricks elephants are forced to do; adds injuries to their ailments later in life!!! “To be honest I’m astounded that more elephants haven’t attacked, killed their trainers or gone on a rampage; like several have over the years, due to the constant abuse from humans carrying bullhooks or other items, such as a walking cane, filled with spiked nails, that when touched, cause pain etc! Could it be that elephants who were caught in the wild, remember the heartache of being taken from family & the torture chamber called the Phajaan? I’m sure those that were caught wild will never ever forget the pain of being taken from its mother & family! But it’s the Phajaan, the poor little elephant will remember forever, because that was home where he was a victim to horrendous abuse! The Phajaan is where all wild caught small elephants are horrifically tortured daily; used for one reason other than a horror chamber…it breaks the spirit of the elephant! OAKLAND, Calif. — The circus will stop coming to Oakland in a few years after a tool used by elephant handlers was banned in the city. The Oakland City Council earlier this week unanimously approved an ordinance outlawing bullhooks. The instrument resembles a fireplace poker, with a sharp hook on one end that is used by trainers to control the animals. Oakland is now the second California city, after Los Angeles, to ban the use of a bullhooks. The circus will stop performing in Los Angeles in summer 2016. The Oakland ban takes effect in 2017. “(That) will be the last time we will be in Oakland because we can’t perform without the elephants,” said Stephen Payne, spokesman for Ringling Bros. and Barnum & Bailey Circus. But the circus is still holding out hope about having future performances in Oakland. “We may see if the Oakland City Council wants to reconsider,” he said. Payne said the move is a loss for people who enjoy the circus. An estimated 30,000 people attended the Oakland circus over six days last summer, he said. The Oakland Zoo and animal rights activists supported the ordinance, saying bullhooks are cruel and inhumane. Other U.S. cities to ban bullhooks include Miami Beach, Florida. Proponents say the tool is designed to give trainers dominance over elephants and does not hurt or harm the animal. “A lot of the information that was presented to the Oakland City Council by the proponents was designed to distort our animal care,” Payne said. Oakland Zoo Chief Executive Officer Joel Parrott said the practice hearkens back to the turn of the 20th century and has no place in modern times. Despite its thickness, an elephant’s skin is very sensitive, to the point where it can feel a fly land on its back. Surprisingly, it is also sensitive to the sun, and baby elephants are even known to sunburn. The species’ notorious love for mud and baths helps alleviate both of these problems. Do Elephants Really Have Exceptional Memories? Elephants can be either “right-handed” or “left-handed,” and this is often shown by greater wear on one tusk as opposed to the other. Dogs and Cats are also often right or left “handed”. Unlike the rhinoceros, whose horn is made of hair-like keratin, elephant tusks are actually overgrown incisors. Incredibly long, at least one-third of an elephant’s tusk is inside the animal’s head, outside of view. The outside, ivory part of the tusk is, like its other teeth, comprised of dentine surrounded by a layer of enamel. An elephant’s tusks never stop growing. The heaviest tusks recorded weigh about 220 pounds per tusk, while the longest ever discovered were 11 feet long! Tusks today are generally much smaller due to the ivory trade and poaching keeping them from reaching such mammoth sizes. In a rare example of unanimity, the whole world banned the trade in ivory in 1989 with the Convention on International Trade in Endangered Species (CITES). In the decade preceding the agreement, more than half of Africa’s elephants had been killed in order to harvest the ivory, and today, poaching continues. In fact, in 2011, only a portion of the largest seizures collected found in excess of 50 thousand pounds of poached ivory. To combat this, the U.S. Fish and Wildlife Service (FWS) had proposed regulations in February 2014 that would have placed “a near-total ban on anything made with ivory moving in and out of the U.S.” However, the sweeping regulation had many concerned that it would inhibit the transportation of “old ivory,” such as that found in antique pieces of art and musical instruments. After a public outcry, particularly from concert musicians who often need to travel with their antique, ivory-fitted instruments to perform, FWS carved out an exception in May 2014. A new law to ban the use of wild animals in circuses is being repeatedly blocked by a trio of Tory backbenchers, despite the personal support of David Cameron, the government, Labour and over 90% of the British public. The bill was blocked for the seventh time on Friday afternoon, a move its supporters called a “travesty” and an “outrage”. Dozens of lions, tigers, zebras and camels are still used in travelling circuses and in 2012 the government pledged to outlaw what Cameron called the “outdated practice”. But despitepublishing the draft law in 2013, it has since failed to pass it. Former environment minister Jim Fitzpatrick, a Labour MP, took the government’s bill and presented it as a private members bill, with support from MPs from all main parties. But it has been repeatedly blocked by circus-supporter Andrew Rosindell, along with Christopher Chope and Philip Davies, all Conservative MPs. “For those that think animals are trained with loving hands…WATCH THIS…then tell me; do you really think they enjoy this life???? A spokeswoman for the Department of Environment, Food and Rural Affairs (Defra) said the government bill would be passed “when parliamentary time allows”. However, the current parliamentary programme has the smallest number of bills for 20 years. Fitzpatrick said there clearly was time and he had “no idea” why ministers will not fulfil their pledge. Creamer said: “By blocking the bill they are defying not only the wishes of their own party and their constituents, but also the British public and Parliament. There is also clearly time to pass a ban and the government needs to act now.” A 2010 government consultation found 94% of the British public supported a ban on wild animal acts. Also read another post I have added toward the end:- ‘CAPS welcomes Scottish consultation on wild animals in circuses’. “Please sign just a few of the many petitions to ban wildlife in circuses: at the end of this post or on the Petition Tab above. If you’re in any doubt as to how elephants are trained; watch the video & share it, education is the key; what we share, will make more care!! WORCESTER — The circus, complete with its lions, tigers and elephants, is still welcome in this city. The City Council Tuesday night rejected a call for the drafting of an ordinance that would have banned the use of wild and exotic animals in travelling shows and circuses that perform here. The vote was 8-3, with Councilor-at-Large Konstantina B. Lukes, District 2 Councilor Philip P. Palmieri and District 4 Councilor Sarai Rivera voting in opposition. Mrs. Lukes, who advocated for the ban as the past chairman of the council’s Public Health and Human Services Committee, said the intent of her order was not to ban circuses in the city, but rather to ban the use of animals that are subject to extinction, such as elephants. She said circuses exploit such animals for profit and she believes it is “time to right a wrong” by banning their use in circuses that come here. But Councillor-at-Large Michael T. Gaffney, who pushed to have a council vote taken on the matter after it had been tabled last month, said the proposal was not just about banning elephants in circuses. He said he believes that animal-rights advocates would eventually move to have animals banned in other things, such as petting zoos. 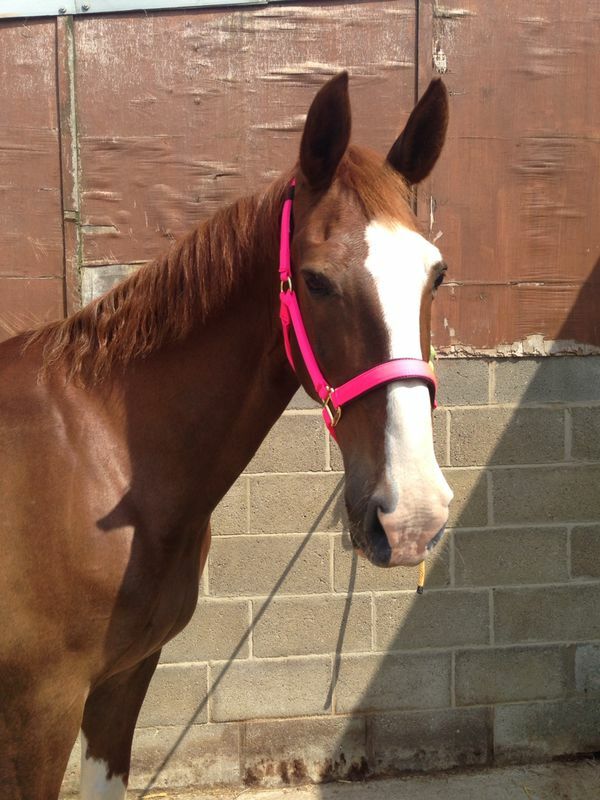 “This is the first step of saying we shouldn’t have animals period,” Mr. Gaffney said. Meanwhile, District 5 Councillor Gary Rosen argued it was time for the council to put the issue to rest. He said the council had become mired down talking about whether it should ban a legal business such as a circus at a time when it has so many other important issues requiring its attention. Last year, the City Council Public Health and Human Services Committee asked the Law Department to review a model ordinance drafted by Born Free USA, a national animal advocacy group. As part of its recommendation, the committee has also asked the city administration to draft an ordinance along the lines of the model ordinance that would keep out circuses and travelling shows that feature elephants, tigers, lions and chimpanzees. At the request of Mayor Joseph M. Petty, the council tabled the proposal until it received a report from the city administration on the impact of such a ban. In a report that went before the council Tuesday night, City Manager Edward M. Augustus Jr. said the proposal raises a number of concerns, including legal issues since it would ban an activity permitted by state and federal law. City Solicitor David M. Moore said it is his opinion that any municipal ordinance prohibiting the use of wild and exotic animals in circuses staged in the city would be “invalidated” as pre-empted by federal and state law. He said it would also trigger contractual issues between the city and SMG the company that manages the city-owned DCU Center (The DCU Center is an indoor arena and convention center complex, located in downtown Worcester, Massachusetts, USA). SMG reports that the circus has an economic impact of $1.5 million during those years it comes to the DCU Center. That economic impact includes ticket revenue, concessions, merchandise and parking for the approximately 20,000 people who attend the circus shows at the DCU Center. Ms. Rivera said if Ringling Bros. and Barnum & Bailey Circus was not allowed to come back to the city, she believes that families would spend their entertainment dollars elsewhere in the community. Please note the above images are not connected in any way to this news post! Yesterday afternoon, it was announced that the Scottish Government has opened a new consultation to gauge public opinion on the use of wild animals in circuses. A CAPS spokesperson welcomed the news, saying “this presents us with an opportunity to move a step closer to a UK-wide ban on the cruel practice of exploiting wild animals in the circus ring”. England has already promised to bring in a ban, and Wales has also shown willing to do the same. CAPS has worked with campaign partners for many years to encourage Scotland to follow suit, with a full public consultation forming the first step in that process. “We encourage our Scottish supporters to get involved in the process and join us in calling for an outright ban on the use of wild animals in travelling circuses in Scotland. These measures are long overdue and this is the opportunity for compassionate members of the public to make a difference”. Please help to support our vital work for animals by making a donation today. Thank you! 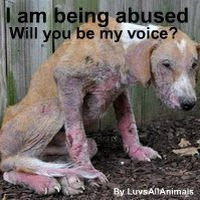 “Don’t support the cruelty! See how elephants are really trained to perform tricks; then tell everyone”. Ringling Bros. Circus is NO FUN FOR ELEPHANTS! 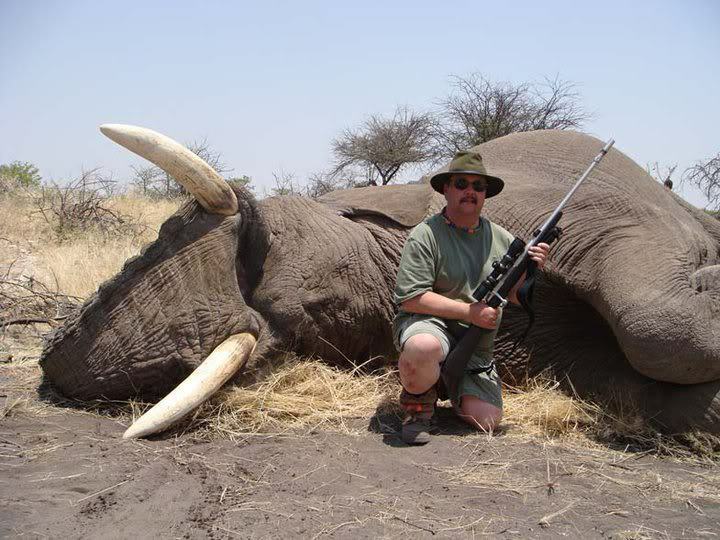 – End The Elephant Tragedy America! 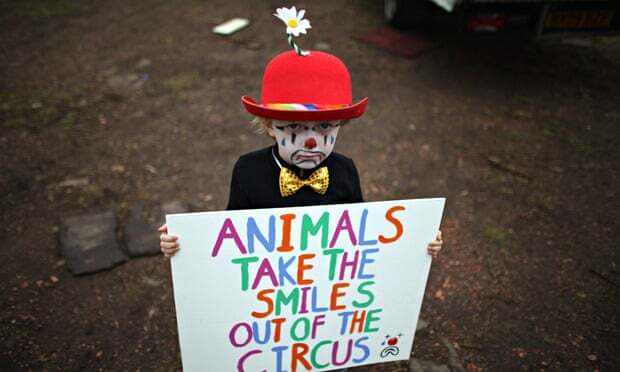 Animals in the circus have not been asked to be there. 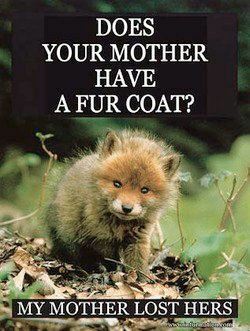 They are stolen from the wild, babies ripped from their mothers and beaten into submission to perform. Elephants live a majority of their lives in chains. 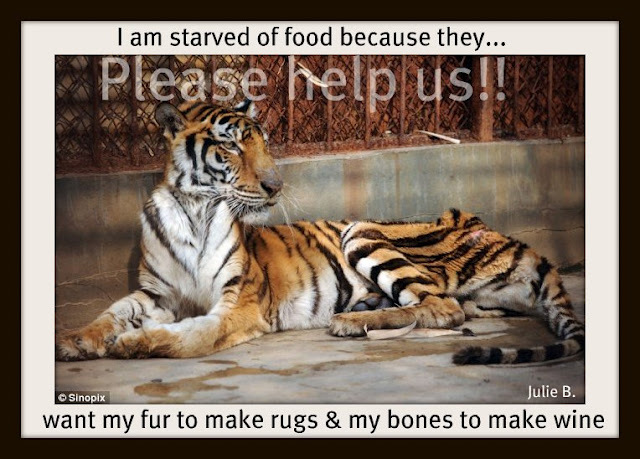 Tigers are crammed in into tiny cages for months on end. This atrocity must end now and we are putting a stop to it. But we can’t succeed without you!